Happy Friday people! A brief note for all my Frugal Friday peeps, I posted a day early this week due to my Halloween block. Make sure you check out yesterday’s Frugal Friday post for some great deals on bits & pieces of fabric! Today is my day to present a paper pieced Halloween block for the Halloween Paper Pieced 2012 Blog Hop hosted by Soma at Whims & Fancies! A big warm welcome to any new folks stopping by for the first time. Make sure you check out my post from Wednesday where I displayed a mosaic of my favorite quilts. That was also my day on the Glorious Autumn Block Party and I made a fun little block. There’s a giveaway too! 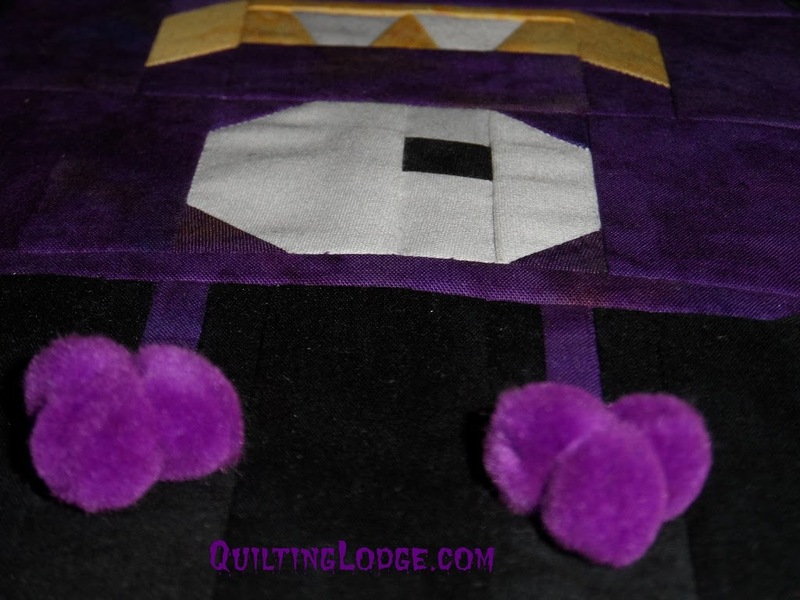 And now, without further ado, here is my Halloween paper pieced block, My Little Monster. I’ve created a PDF file of the My Little Monster Pattern. Please note that I did not explain paper piecing. The pattern assumes you already have the basic skills needed to paper piece. I have to say this block was a huge challenge for me. I’ve never designed a paper pieced block and this was no easy task. I cannot even tell you how many blocks were scrapped because I could not get them to work. In fact, I almost emailed Soma and backed out. But, my stubbornness prevailed and after some tears of stress I regrouped and tried again. My Little Monster was born. I hope you all enjoy him as much as I do. Let’s take a closer look at his antennae. Hope you all enjoyed My Little Monster. I’m just super excited I was able to complete this task! I hope you all enjoyed My Little Monster! I love your “Little Monster” – how cute!!! Thank you so much. Your little Monster is AWESOME! It’s fantastic! Oh my gosh Vicki! That little guy is just adorable. So cute. Wouldn’t he be super cute on the front of a little Trick or Treat bag or even stitched onto a toddler/baby’s Tshirt? ok Vicki…this is terrific…great PP….love the colors too..downright appetizing. He’s purple–I love purple–and so very cute. Great PP! oh my goodness this is just too cute. Thanks for sharing the pattern. I love his antenna. Darling little monster… almost too cute to be called a monster! lol. Nice job. 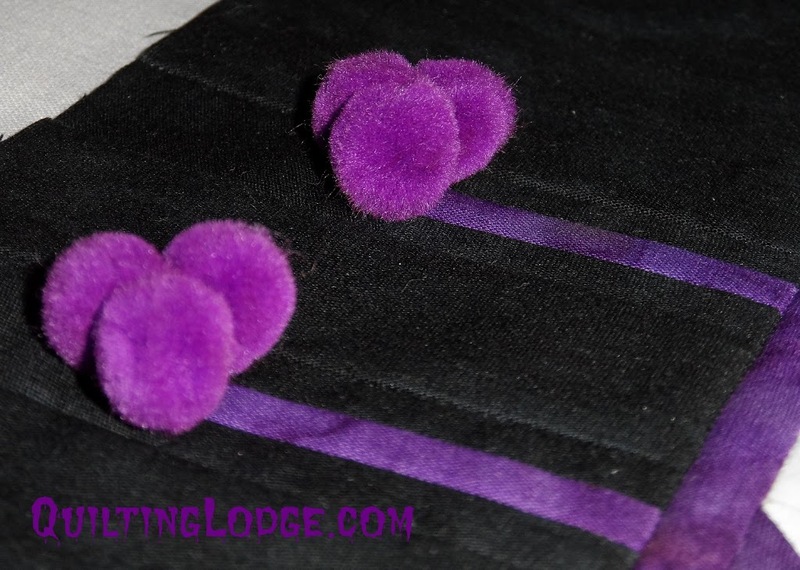 The pom-poms are perfect! I love your little monster. Thanks for sharing him with us! Thank you, Vicki! Great job on your first pattern!! I love your block, you did a wonderful job! He would make an adorable quilt all on his own made in different colors! Thank you for sharing. 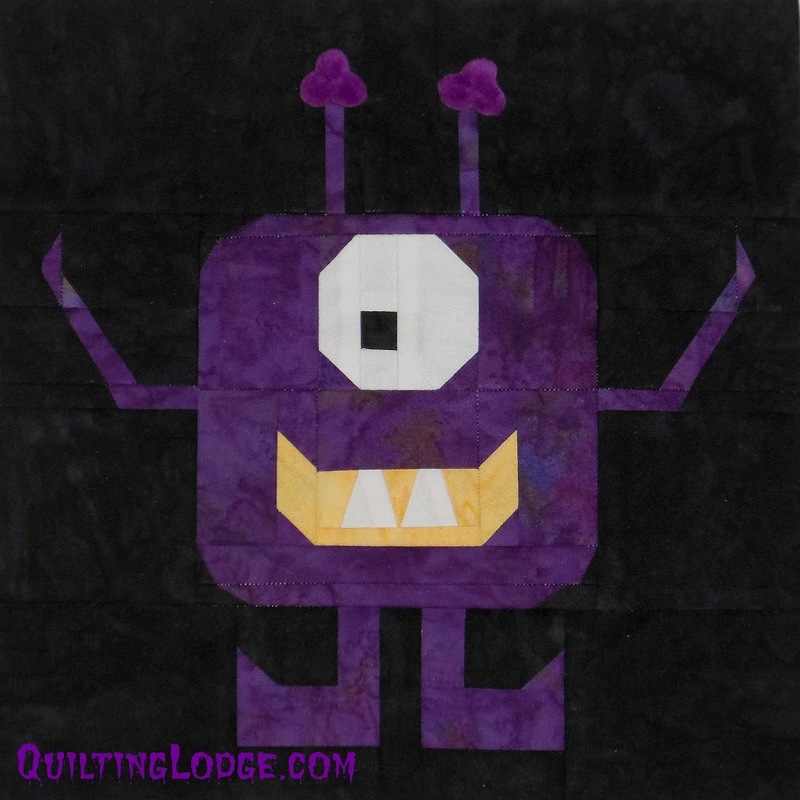 Great job Vicki and what a cute little purple monster! He is cute as can be. Congrat’s on completing your goal..